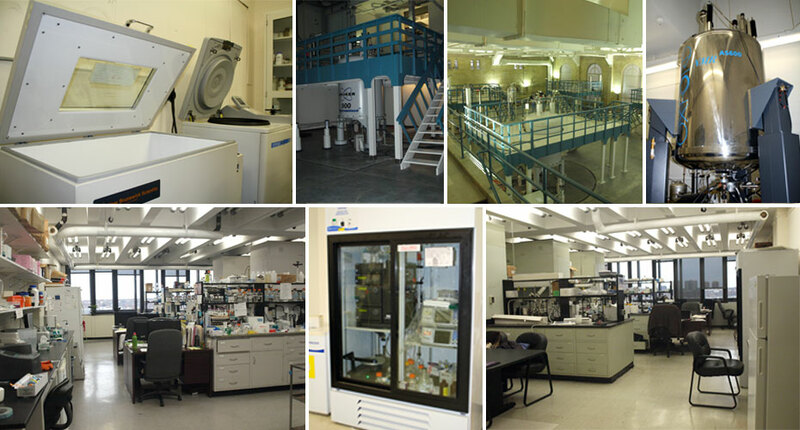 The CUNY ASRC Nuclear Magnetic Resonance Facility features three state-of-the-art Bruker AVANCE III HD NMR spectrometers operating at 600, 700, and 800 MHz suitable for the full complement of biomolecular NMR studies. All three spectrometers are equipped with either cryogenically-cooled or room temperature probes offering a wide range of 1H, 13C, 15N, 19F, 31P, and 2H NMR capabilities. Equipped with refrigerated sample changers and remote operation capabilities, each of these instruments is able to independently run through 24 (SampleCase) or 600 (SampleJet) samples with limited user involvement. Additional resources include (i) two laser systems dedicated for studies of photoreceptors or other photochemical systems, ii) a high-pressure system for acquiring NMR data at pressures up to 2500 bar, and iii) 1.6-mm HXY magic-angle-spinning (MAS) probe for solid-state NMR experiments, capable of sample MAS rates of up to 40 kHz, for use with the 600 MHz spectrometer. Facilities are available for theexpression, production, purification and biophysical characterization of isotope-labeled proteins suitable for NMR studies. Computational facilities for MD simulations and highly parallel structure calculation protocols are also available. MS facilities for the characterization and analysis of biomolecular samples. 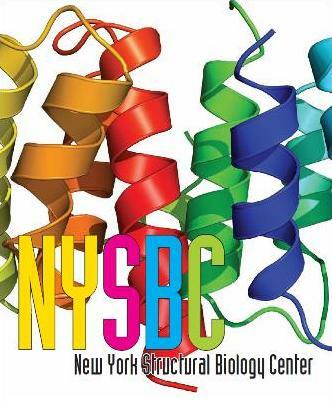 The New York Structural Biology Center (NYSBC), a consortium of 10 New York area universities and research organizations, is situated on the City College campus. It is the largest facility of its kind in the United States. The NYSBC houses several high-field NMR spectrometers including 2 @ 800 MHz and 2 @ 900 MHz. Facilities are also available for NMR in the solid-state @750 and 900 MHz. The NYSBC also includes a 600 MHz spectrometer equipped with a 395 GHz gyrotron system for microwave generation for use in DNP in the solid-state. The NYSBC maintains and operates the NYX beamline at the Brookhaven National Lab's NSLS-II synrchrotron. The NYSBC houses in the Simons Microscopy Center several Titan Krios equipped with direct detectors and Volta phase plates. Copyright © 2011 - Ranajeet Ghose - All Rights Reserved.